So the power supply is a real problem ? Too little power means your computer won't boot or it shuts down. However, the quality of the power supply unit (PSU) is equally important: low quality PSU may very well fry up your computer. So don't buy the first and the cheapest high power PSU you come by. Google the model you are considering before you buy it. The Thermaltake <Gunny> linked should be a decent one. Man. I'm thinking about buying a new rig. This discussion makes me want to puke. To answer the OP: No, 240W is not enough. 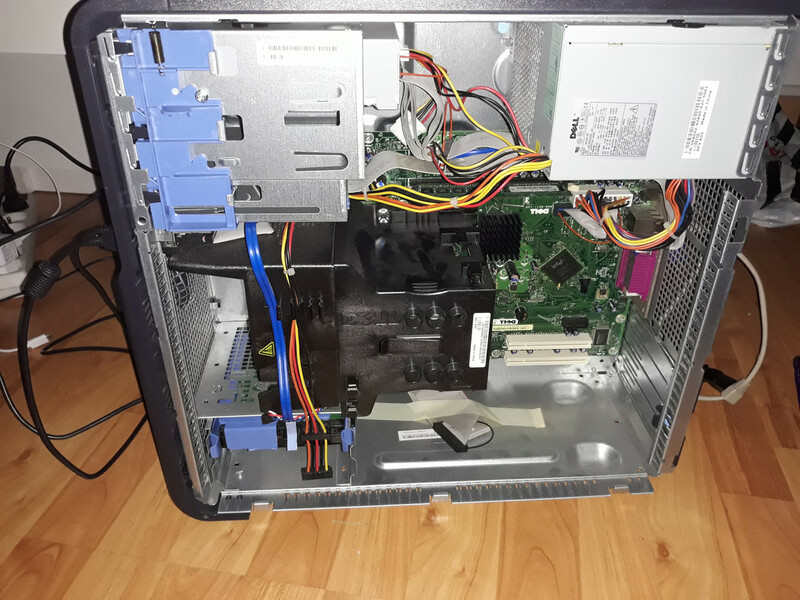 240W is typical Dell style: They put in what's barely capable to run the current config. The base system, without Graphics card (using CPU integrated graphics) gets along with around 200W. However the GTX 550Ti TDP os 116W (and overclocked cards from most vendors take a little more). Nvidia's recommendation is a 400W PSU, actually a 350W will do as well. That is true, but I would suggest slightly more powerful PSU (500 -700 W) to leave some room for future expansions. Celeron D is one crappy processor, but should be adequate. That is excatly what I was thinking. If you invest a little bit ( ~ 20 €) more on the PSU now it is very easy to upgrade later: you only need to buy a new CPU and a new motherboard and you may leave everything else as it is. It's a bit confusing since a Dell Optiplex 8100 doesn't seem to exist, let alone with a Celeron D.
We need the precise specs to tell more. Concerning the PSU Shakaali of course is right when saying "the more the merrier". PSUs wear out, what's enough today might be on the edge next week and will fail next month in that case. Sugest visit https://www.tomshardware.com/reviews/build-your-own-pc,2601.html Need read, study, do comparison quality/price... the best way to have a great computer is built selecting part by part.